Just received this set in good time. It is excellently packaged and each piece was in an individual bag and wrapped to protect the high quality wood carvings. The chess pieces are of very high quality and I am more than pleased. 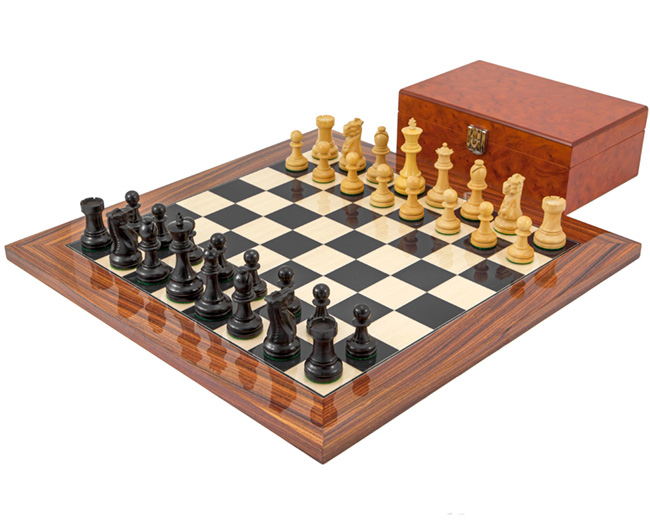 The chess board is very well made to a high standard and if looked after should last for decades. The box to store the chess pieces is well made, the hinges and catch are quite substantial and not the thin metal you find on a lot of others. I also bought the draft set to complete the set and I am very pleased with this as well and they come in a very nice wooden box. All in all this set is made to last and looks stunning. I hope to eventually pass it on to my children as I hope they will eventually pass it on to theirs.